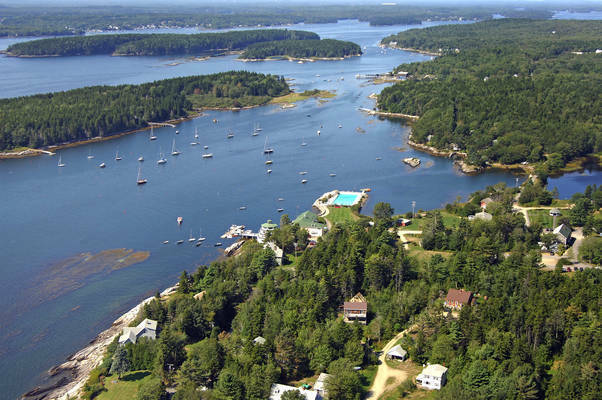 Officially know as Sebasco Estates, the town of Sebasco is located on well-protected Sebasco Harbor about 11 miles to the southeast of Brunswick (as the crow flies). Sebasco Harbor is open to the Atlantic Ocean to the south, but is protected from all other directions by Bear Island, which lies west of the harbor and town. Sebasco Harbor is approached from the south past a number of rock ledges and granite outpost islands. Careful attention is called for, especially during foggy conditions. Several ledges are marked by warning daybeacons on the approach to the harbor, and should be religiously honored. 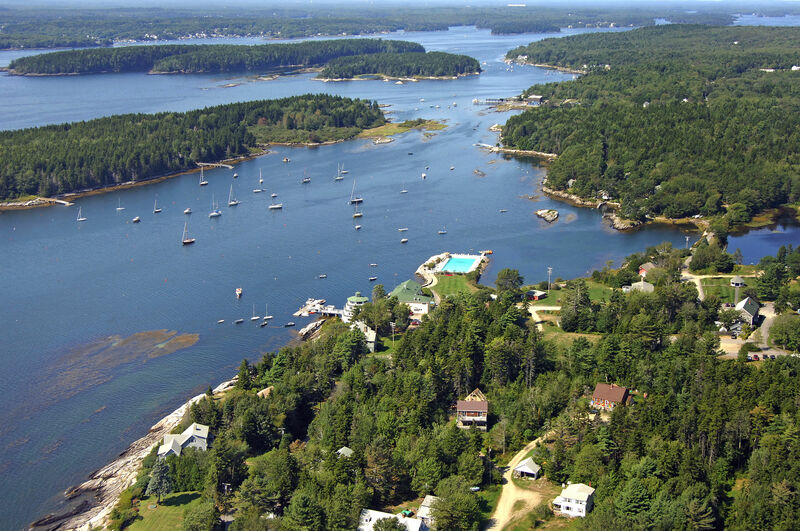 The harbor itself has six- to 42-foot depths and a bottom composed mainly of rock. See Helpful Links section at the bottom of this page for detailed information. Sebasco is a small town, and as such, foot travel and bicycle are the preferred means for getting around by the traveling mariner. Portland International Jetport is about an hours drive by land and has daily commercial airline service. 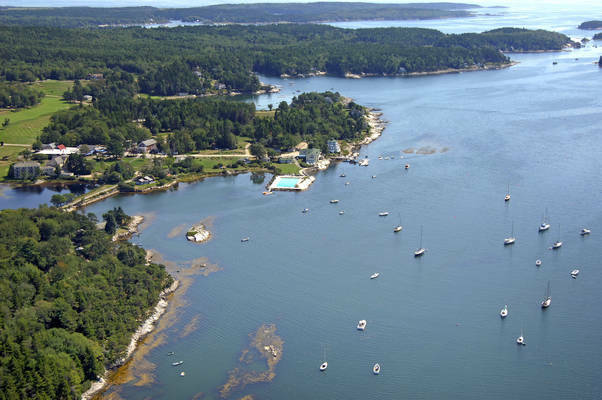 Wiscasset Airport and a few other general aviation airports are nearby, but have no commercial service available. No reviews yet! Be the first to write a review of Sebasco Harbor.